The new 2018 calendar is finally here! People who love dogs purchase dog calendars. People who love beaches purchase beach calendars. People who work at companies may have a company-issued calendar. What about tarantula lovers? 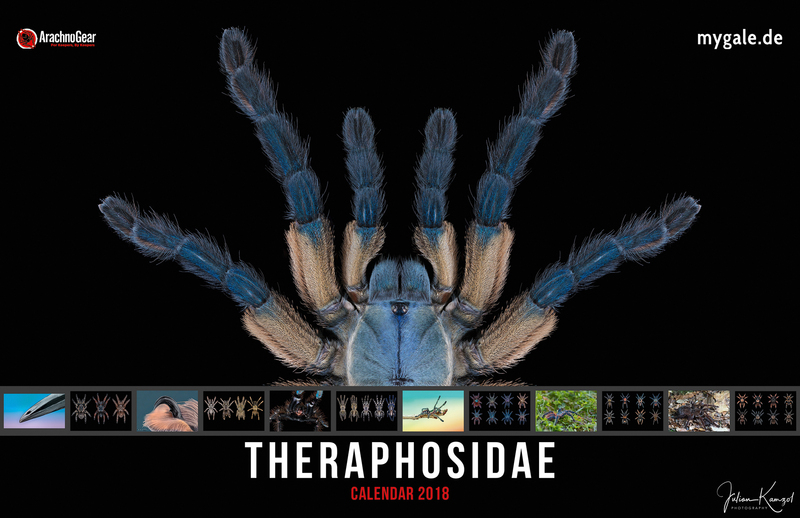 Now, thanks to the work of mygale, you can have your very own 2018 tarantula calendar! 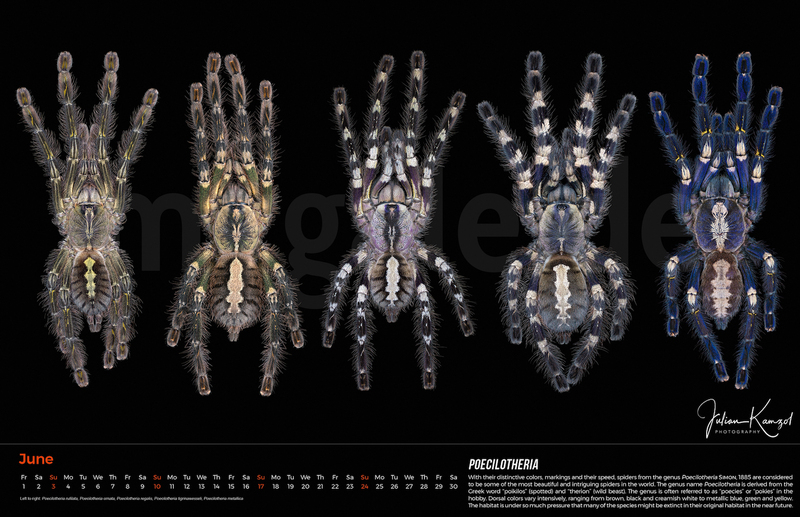 I know there are already plenty of calendars out there, so why should you buy this one? State of the art quality: It was completely designed with professional equipment, professional software and edited on professional hardware. This means no boring loveless drag and drop in online editors, no phone pics. Higher print quality: It’s printed with over 350 dpi, instead of the usual 300 dpi. Additional information for every image, over 1.000 words written by scientists. 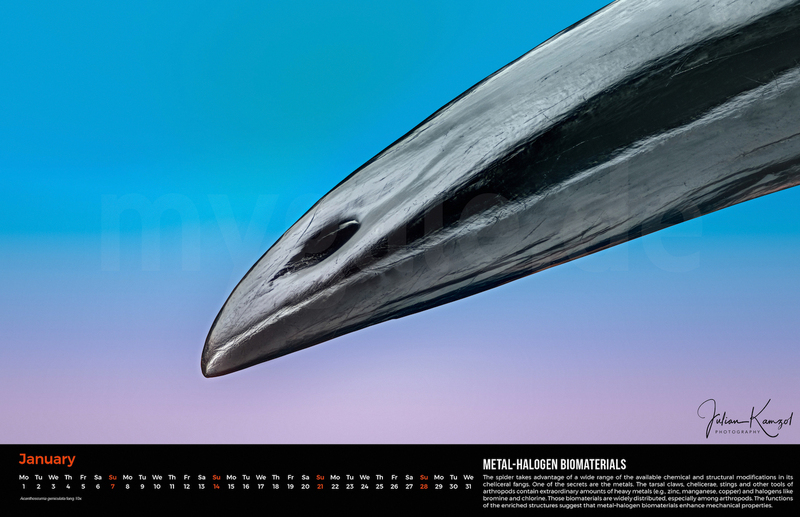 Over 40 images, instead of only 12 in other calendars. With 17×11“ it’s also bigger than others. 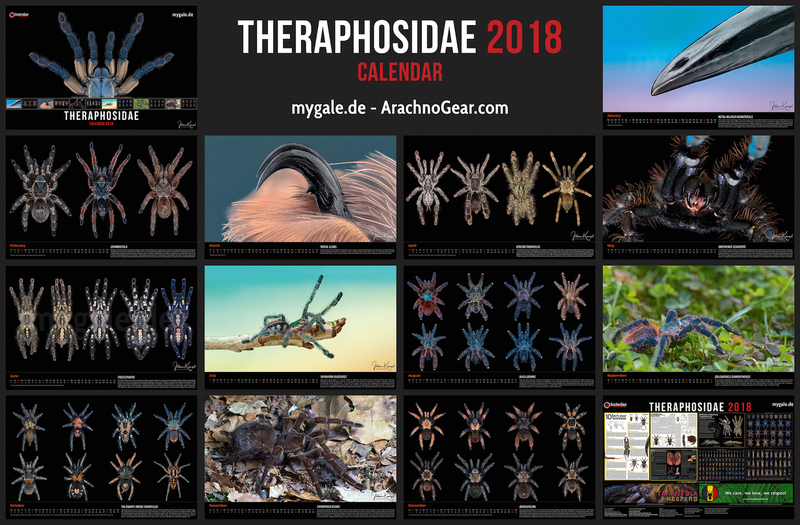 Only available on ArachnoGear.com, shipping worldwide! This calendar is available in a limited quantity of 100 pieces, and additional copies will likely not be stocked.